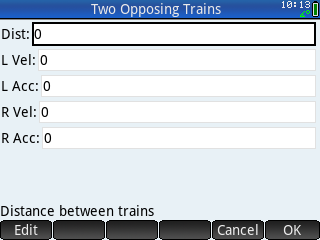 Description: Two trains are heading towards each other, on their own separate train track. Each train has going at their own speed (velocity). The trains start out a distance apart. This program calculates when and where the trains will cross over the same spot.